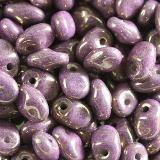 Buying Czech beads is a great choice for everyone who likes beads in many colours and sizes but doesn't want to spend much money on their hobby. 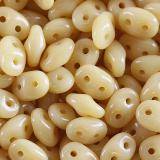 Czech beads are known for their high quality and their price is much lower than the price of products made by Japanese brands like Miyuki and Toho. Unlike these Japanese products, Czech glass beads are available in both small and bigger sizes. Czech beads are produced by many companies, but some of them are more popular than the others. These are beads made by Preciosa and Matubo. The latter ones are divided into a few kinds. The most popular kind called Matubo Super Duo stands out from the others thanks to the presence of two holes. There are also some other brands which are worth attention even if they aren't famous yet, at least because of untypical shapes like Ufo beads in the shape of flying saucers. Czech glass beads mean diversity of colours, shapes and interesting visual effects. In our shop, you will find beads with pearlescent effects, transparent ones and beads in neon colours. In our offer, everyone can find something for them. 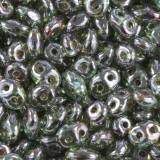 In our bead shop we offer Czech glass beads in retail prices and wholesale prices in bulk bags. We sale many different shapes, colours. 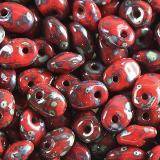 Most popular are Czech beads faceted called fire polished, SuperDuo or Preciosa. Preciosa Candy and Preciosa seed beads are the most wanted by the artist. You can make a beautiful jewellery from them, especially with two holes beads you can create bracelet, necklace or earring. It is great to Czech glass beads use with Toho beads and then with jewellery findings like earrings, ends, head pins or jump rings. Czech beads are often used in beading. With jewelery and colorful beads with two holes, you can make flat jewelry like necklaces or bracelets in beautiful geometric patterns. Czech beads will help achieve a spectacular effect. 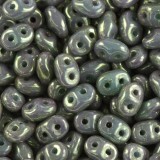 Just stock up on teardrop shaped beads, for example in rizo beads. They are available in many beautiful colors. 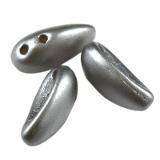 The keyhole for passing the line or thin wire through it is located in the narrower part of the bead. Thanks to this, you can create a necklace reminiscent of a water cascade. Made of several shades of beads in a blue color will resemble a rough sea. Czech teardrop shaped beads will also allow you to make earrings resembling some coral reef organisms - spiked spiny balls as earrings or necklace will certainly attract attention. In turn, round beads with a beads wheel with a rather large hole in the middle will let you thread on the jewelry strap. The additions to rebellious rock stylization, strong and expressive, will be created from beautiful Czech beads. They will give pleasure to this woman who likes to emphasize her unique style in various ways, and jewelry is an important element of everyday stylization for her. 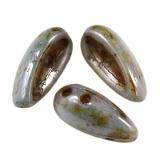 Glass beads are a combination of quality and good price. Thus, they contain two characteristics that are most sought after by consumers. Their biggest advantage is that they are available in many different sizes. Thanks to this we can create unique bracelets made of beads. 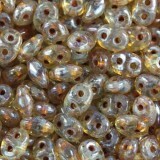 Beads have interesting effects, such as pearly gloss. Certainly, everyone will find something for themselves. 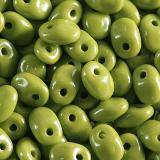 In our assortment you will find a wide range of beads in numerous colors and shapes. If you've ever been in contact with semi-finished products for jewelry, you know how important it is to choose them right. Available in fashionable neon shades are great for ear decorations. The original earrings created by us will undoubtedly be the object of admiration among friends. We can not find such unique handicrafts in the local shop. The handmade handmade one is very much appreciated in the modern world and thanks to that we can also develop business, which is an additional form of income.